In the last legislative session, the Texas Legislature gave the Texas Railroad Commission money to upgrade its website. The RRC’s new GIS Viewer is now available for use. 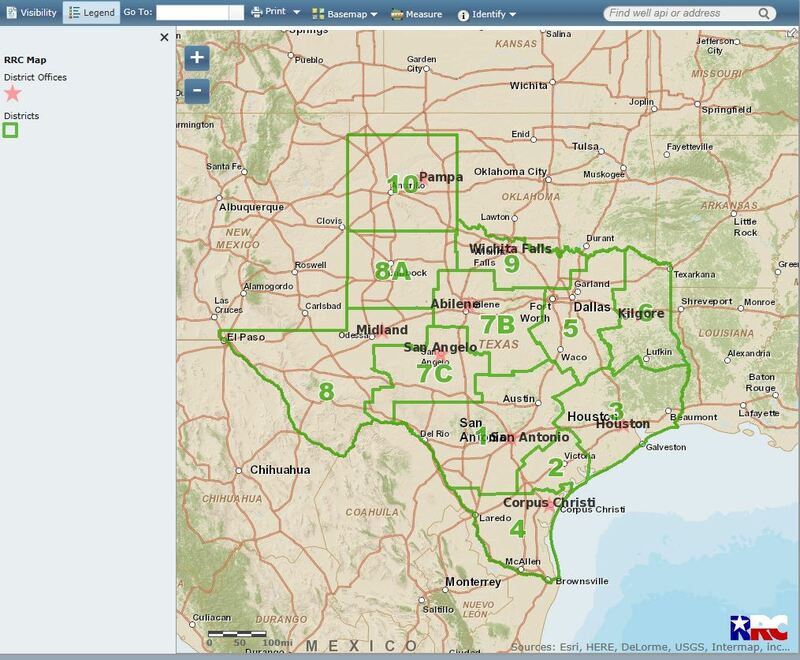 http://wwwgisp.rrc.state.tx.us/GISViewer2/ This map-based access to RRC information on wells, pipelines and records makes it much easier for the public to access RRC records. One of its tasks that the RRC does well is provide easy access to its records. It has always been one of the most open and accessible regulatory agencies in the state, and it goes to great lengths to make its records easily available to the public. 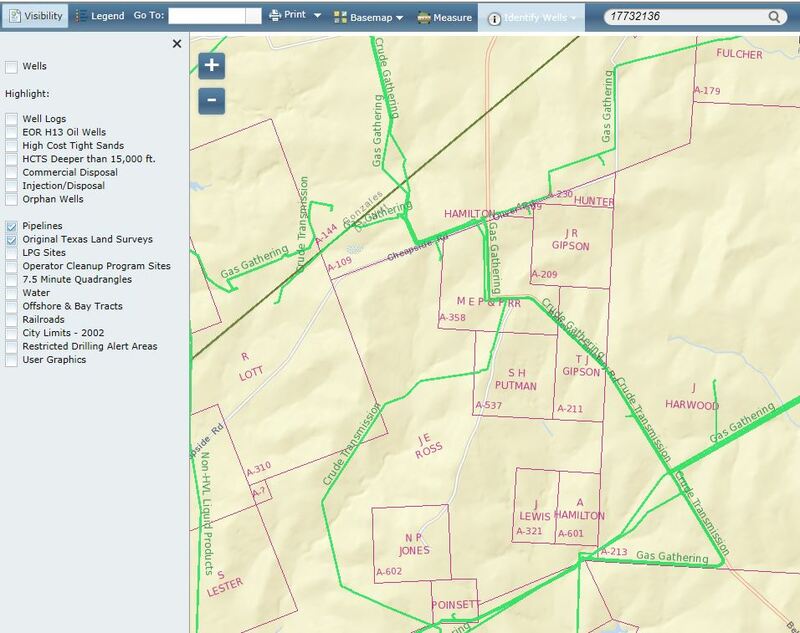 Its new GIS Viewer greatly enhances this capability. There is as yet no tutorial on how to use the new Viewer, but if you play with it for a while, you will see how easy it is to use. When you open it, you see a map of the State, with the RRC’ district boundaries shown. You can select a county from the menu at the top of the page to zoom in on that county. 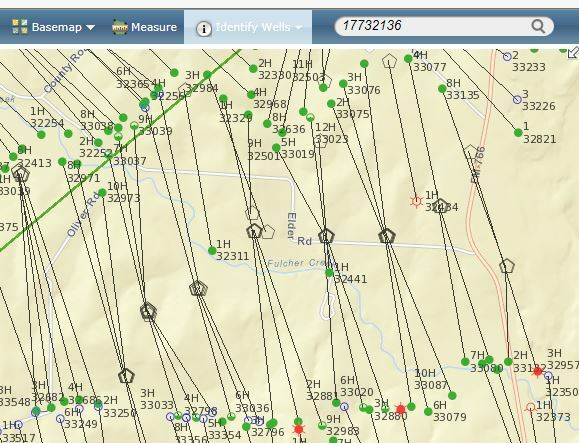 Then use your mouse to navigate within the county and find the area you are interested in. When you zoom in far enough, you will see symbols for wells. 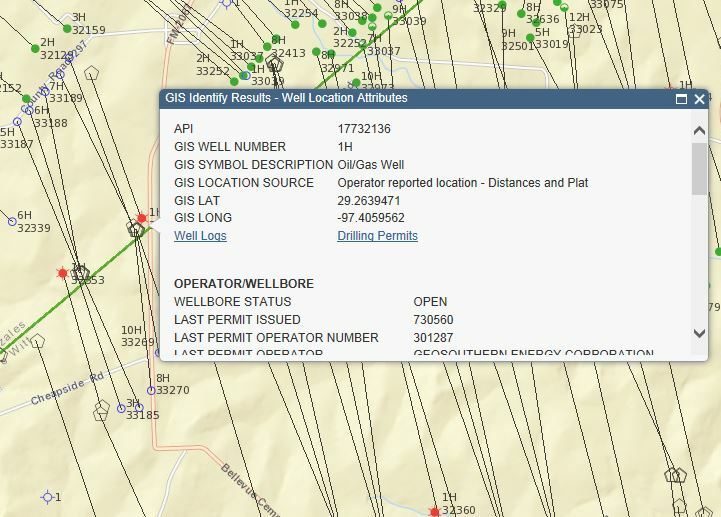 Click on one of the well symbols, and you can access the information available for that well, including permits, completion reports, and well production, and images of all of the filings for that well. You can also use a well’s API number to find the well. 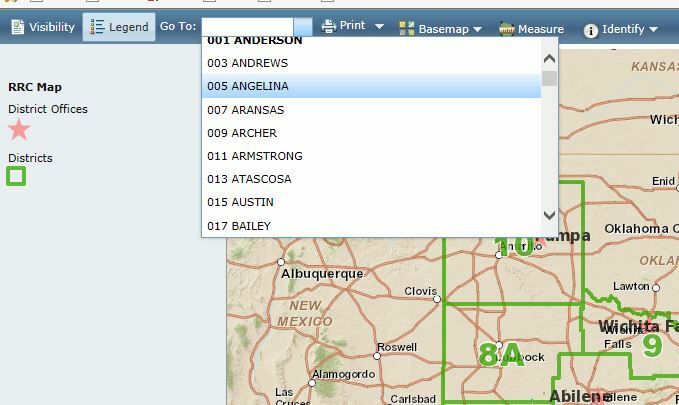 A well’s API number is a unique number assigned to every oil and gas well in the U.S. A complete API number for the well identified above is 42-177-32136. On the Viewer, the first two numbers are not used, and the dash between 177 and 32136 is not used. To search for this well using its API number, type 17732136 in the search box in the upper right-hand corner of the Viewer. Press enter, and the map zooms to the well. The map has different layers that can be turned on and off to view particular items. 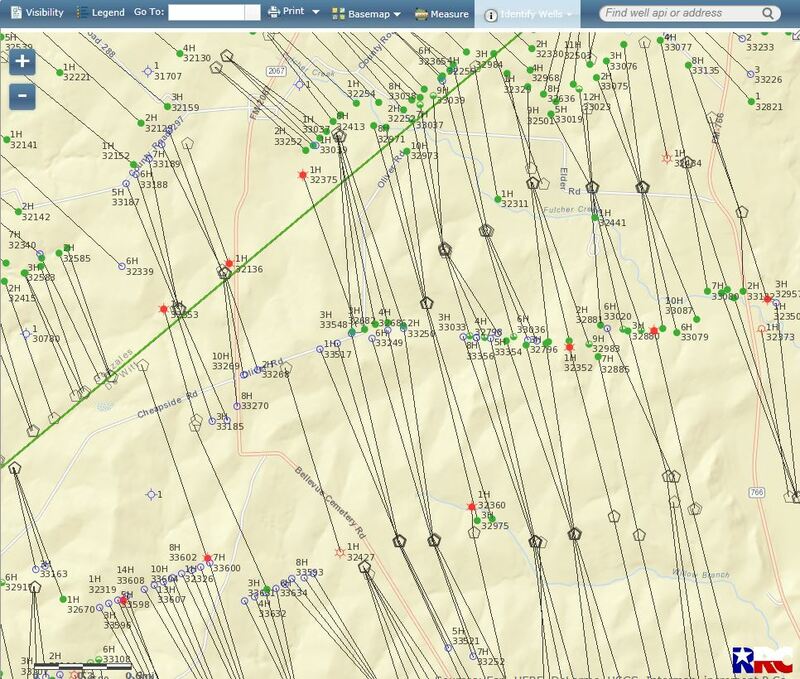 For example, below are the layers showing pipelines and land survey boundaries. Hover over a pipeline and you will see its operator and what commodity the pipeline is carrying. The Viewer is still being enhanced, and additional data will be included. The Commission is to be congratulated on its work in providing this valuable tool.